RUSH: Randy in Carthage, New York. It’s great to have you here. How are you, sir? CALLER: Hi, Rush. It’s an honor. Rush, I just got two questions today, please. CALLER: First of all, I’m wondering what your opinion is on what form the Barr investigation will take and will AG Barr wait for the IG investigation before releasing any info on his own? RUSH: Well, I think, by definition, he’s gonna have to. The IG investigation is supposed to be presented in May or early June. And I don’t think Barr is gonna be very far along by then, certainly he’s not gonna be ready to announce any conclusion. I mean, I wish that weren’t true, but I think he’s gonna have to spend some time on this for his results to have credibility. If he does a four-week investigation and announces it, it’s a recipe for people say, “You didn’t investigate. You can’t look at things in four weeks. You’re making it up. You’re just in the tank for Trump,” this kind of thing. So I think he’s gonna take his time, be deliberate about it, but I don’t think he’s gonna waste any time, and I think he’s gonna get to the bottom of it soon. And the more Pelosi and these people keep attacking him like this, I think the more hell-bent he’s gonna be to get this done. CALLER: And the only other question I had, Rush, was what proof is there that the dossier was paid for by Hillary Clinton? 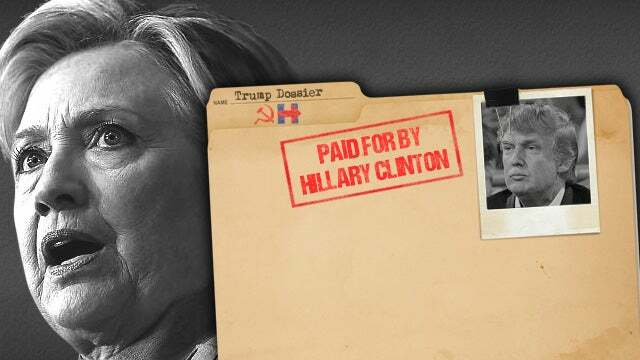 RUSH: What proof is there that the dossier was paid for by Hillary Clinton? RUSH: Okay. The dossier was actually paid for by the Clinton campaign, run through a cutout company called Fusion GPS, which hired Steele. Fusion GPS is Glenn Simpson. The paying entity was actually a law firm, Perkins Coie. So there’s a three-level or three-headed beast here. But the Washington Post, Randy, is the ultimate source for this. A lawyer who represented the campaign, meaning the Hillary campaign, retained Fusion GPS. It was Fusion GPS that hired Steele to then create the dossier. The Clinton campaign hired Fusion. Fusion knew Steele from work long done together ago. They hired Steele to go out and dig up dirt on Trump. All of this, by the way, was confirmed in a story in the Washington Post, Randy. That’s how we all learned about this. The Washington Post confirmed this route. Now, Fusion GPS had originally been funded by a Republican consulting firm during the Republican primary. Fusion GPS was looking for some dirt, not on Trump, on some Republicans. And whoever hired them gave up the project. Nothing was produced of any value. Clinton lawyer Marc Elias then retained Fusion GPS in April of 2016 and paid for them to continue their work until just days before the presidential election. So Marc Elias, who is at Perkins Coie, is the lawyer that represented the Clinton campaign, hired Fusion GPS, which then hired Christopher Steele to dig up — so the bottom line is, the dossier’s origins begin with the Hillary Clinton campaign. There is no dispute about this. This is why everybody is so mind boggled that this thing was used to get FISA warrants. And the dossier — trust me on this, Randy — the dossier remains the only thing there ever was to justify this investigation. There were all kinds of other efforts. 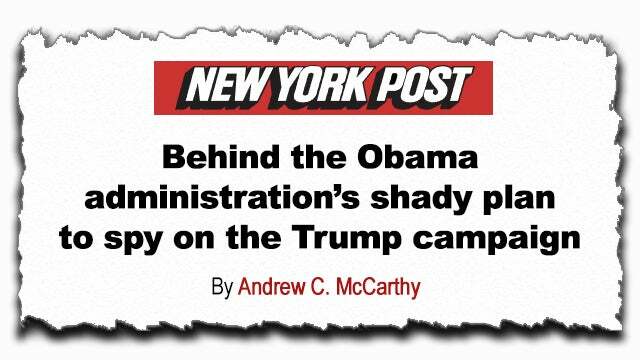 If you want to read the latest comprehensive summary and report on all of this, Andy McCarthy has a column today that just explains every bit of this from beginning to end in the New York Post. I don’t want to read the whole thing to you here, but he explains that the dossier is all they ever had. 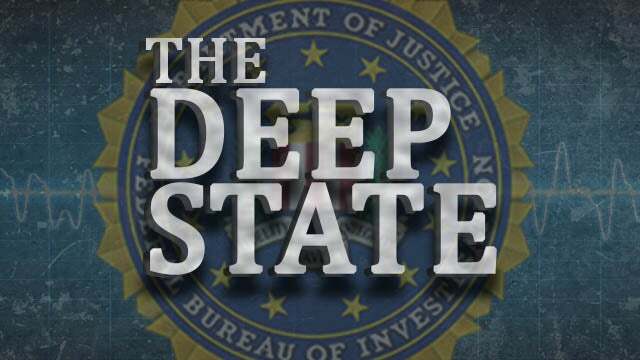 He goes through the efforts of the FBI to implant spies in the name of Stefan Halper, who talked to three different people in the Trump campaign trying to get hired, including George Papadopoulos, Carter Page, and then Sam Clovis. There’s no mystery about any of this. But the big take-away is that there was never any evidence of collusion. As Devin Nunes said on Fox, the day Mueller was hired he shows up in his office and he says, “Okay, Comey. Show me what you got.” Comey had been conducting this investigation into Trump-Russia collusion. The file’s empty! There’s nothing! The day Mueller took the job there was no evidence. There still hasn’t been any evidence. And the Mueller report now confirms there was is any collusion. The real crime here, if you ask me, is that Mueller has known this since day one and certainly for the last year and a half of his investigation, has known there’s no collusion. Why not say so? Why not announce so? As we pointed out yesterday, James Comey, Mr. Boy Scout, Mr. Washington, Mr. Integrity, Mr. Honor, the guy that’s gonna save America from all enemies, foreign and domestic, the guy who is the epitome of morality and virtue, if he’s got all this information on the Russians affecting the election, colluding with Trump, why not just tell everybody instead of going through this bogus investigation for two years? Why not just tell everybody? He’s testified five different times before congressional committees. He’s appeared on TV left and right. And did the July 5th press conference exonerating Hillary. If you’re really worried, if you’re James Comey, you’re Mr. America, you’re Captain America, and the evil Russians are on the verge of stealing an election, why do you let it happen? And then go out and try to find Trump’s connection to it? Why don’t you tell the people of this country that Putin and the evil Russians are going to tamper with the election and they’re gonna try to steal it away from Hillary Clinton, they want Trump to win and present the evidence? Well, the answer is obvious. There wasn’t any evidence. This whole thing, this entire thing, at least the part of the investigation that, if you want to talk about the beginning of the investigation in January 2017, January 6, before Trump’s inaugurated, that phase of the investigation began after a January 5th meeting with Obama and Sally Yates in the Oval Office. Read about it today in McCarthy’s column in the New York Post. You got Clapper there. You got Brennan there. You got Comey there. And they’re talking about how to make this investigation happen. They’re talking about how to use the Steele dossier. They’re talking about how to get the Steele dossier in the public domain as news. They hatch the plan to tell Trump about the golden showers aspect of the dossier. This is supposedly where Trump hired prostitutes to urinate on a bed in a hotel room in Moscow that Obama and Moochelle (My Belle) had slept on. The question is not what did Trump know, when did he know it? The question is what did Obama know, when did he know it? But, to your question, there’s no dispute — zilch, zero, nada — that this phony, uncorroborated, unconfirmed, unverifiable dossier was a work of art that was ordered and commissioned by the Hillary Clinton campaign through Fusion GPS, which was paid by a cutout law firm. The origins are not in the intelligence community. They are not from spies calling Americans and saying, “My God, we’ve learned what our own government’s doing trying to tamper with your election.” None of that. This is made-up stuff. By the way, Christopher Steele, in the U.K. you can be charged with slander and libel much easier than you can in the United States. And Steele was under such charges in the U.K., and he admitted, folks — you haven’t seen this much in the Drive-By Media — but Christopher Steele admitted under oath, on trial in the U.K. that he couldn’t verify anything in his own dossier, that it was uncorroborated stuff. He had to admit it. He had to admit the truth. He was under oath in a trial in the U.K. We’ll be back. Hope that answer helps, Randy. RUSH: Crystal River, Florida. David, you’re next. Hello, sir. Welcome to the EIB Network. CALLER: Yes, sir. Thank you. This is an honor. The thing that I want to talk about is going back to this investigation, this Trump and Russia collusion thing. The whole thing, as I can understand this is, was based on this search warrant. I’m a retired police officer, and very much involved with search warrants. I’ve been an affiant many times on search warrants, and I do know the process, even though I’m not at the federal level, I was at a state level. RUSH: They did all that. RUSH: They went in there and they told the FISA judge, they had this dossier by this Steele guy, and they told the judge how often they had used Steele and how reliable Steele was, and he was a common FBI source for lots of things over the years, they’ve had an ongoing relationship. They did all that. RUSH: What they didn’t do, what they didn’t do was explain that the dossier, the sole reason they wanted the search warrant, the FISA warrant, they didn’t say that it came from the Hillary Clinton campaign. They didn’t — they alluded — they told the FISA court that it was from legitimate intelligence collection by this Steele guy, and they vouched for him because they had worked with him in the past. They did not tell the FISA court that the source for this dossier was political opposition research of the Clinton campaign. And they got it renewed four times on the same premise. RUSH: Well, I know what you’re getting at. What you’re saying is that when you go get a search warrant, you gotta be top to bottom, left to right honest about everything you’re putting in that affidavit or else there will be hell to pay if you embarrass the judge and if you’ve lied to him and so forth. And so you’re thinking, if I have to do it here at the state level, local level, what must the requirements be at the FISA court. And yet everybody’s asking, did the FISA judge or judges know about this? Were they in on it? And if not, they now know that they were lied to. Where are they? What are they doing about it? What you’re having trouble coming to terms with — I’m interpreting from what you’re saying — you’re having trouble coming to terms with the fact that everybody in this, from the judges on down, was part of a scandal, knowingly participating in a fraudulent investigation designed to find anything, not confirm something. RUSH: Our last caller, David in Crystal River, Florida? I forgot to mention one thing to you that also happened during the application for the warrant before the FISA court. The FBI leaked news stories based on the dossier. The FBI was leaking stories that were then getting published in the New York Times, the Washington Post, and elsewhere. You know what they did? They put those news stories in their affidavits as evidence to support the warrant. They leaked ’em! 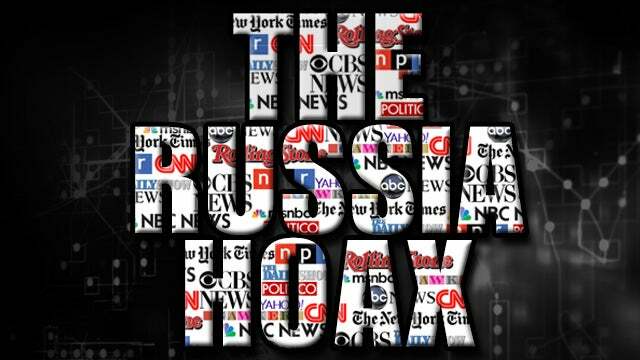 Just like they plied Papadopoulos with a bunch of garbage about the Russians having 30,000 emails and arranged for him to tell somebody that would tell the FBI, they planted news stories about the dossier, elements of the dossier and elements of collusion. Those stories ran, and then they took those stories, put them in their application, and said, “Look, Judge, it’s not just us. The media’s on to this, too.” But the media only knew what they had because the FBI leaked it to ’em. Now, you can’t do that (chuckles) in your local community without getting caught in the process and paying a steep price. His question is, “What’s gonna happen to these people, if this investigation is real?” Now, this is what the inspector general, Mr. Horowitz, is looking at now. He’s looking at the FISA application process. However, one of the problems with his investigation is that many of the people involved in it are no longer there and thus I’m not sure he can talk to them. But if Barr’s investigation gets this deep to find out — and it must — that’s gonna be learned, because we already know this.